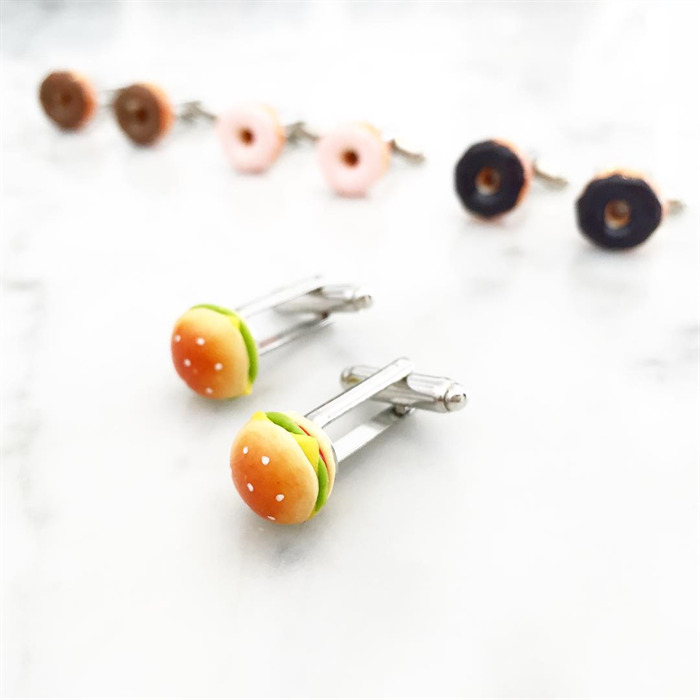 Save yourself a trip to McDonalds, or Hungry Jacks for these cute as a button hamburgers! Zero calories on these ones. So cute with a slice of lettuce, cheese and tomato! They are great for the boys or the girls. Add a bit of fun to your work or casual shirt. Each hamburger is approx. 12mm in diameter. The cufflink base is made of silver plated copper which is lead and nickel free.